Happy Monday my friends!! Hope that you all had a wonderful weekend. Y’all, I’ve been thinking. Haa, yes, I’m going to get somewhere with this!! Do you ever have flashbacks?? I have been having quite a few of them. It’s amazing to see how much that our struggles throughout life help mold us into who we are today. As a little girl, I remember being overwhelmed with fear. Fear of the dark, fear of man, fear of failing, fear of not being good enough, fear of the unknown: all of that worry consumed my mind day after day. I remember lying awake in my bed and being so afraid.. afraid of the outside noises that would somehow seem to sound like strangers whispering outside my window. Afraid of the kids telling each other secrets that could possibly be about me. I felt so alone in these wild emotions. As a teenager, I remember thinking that I wanted to just let it all go. It had been years where so much of my life was robbed. Well, I didn’t let go of my fears and worries when I was a teenager. It was many years later. It was after my first child that I finally put into practice the “take captive every thought”. There was a place that I arrived where I became sick and tired of being sick and tired. Shutting people out of knowing my heart wasn’t an option anymore. Feeling rejected when no one was doing anything to reject me was coming to an end. Feelings of anxiousness were not going to have the last word. This wasn’t an easy journey, but it was a beautiful one. How did I learn to walk it out?? Applying Philippians 4:6-8 was seriously a game changer or should I say a life change. Memorize it, write it, post it, and believe it!!! Again, memorize it, write it, post it, and believe it!!! He will begin to change you from the inside out. This outfit is so cute! Beyond that, I, too, have worked to try to let go of fear. It really holds you back! Love this post! It’s crazy how much our fears and worries shape us into who we are today! Loving this look girl! You look stunning! Love this whole look, so bright && perfect for summertime! Thank you for sharing your heart – I totally needed to read this on this Monday morning! I think letting go of fear and worries is such a struggle, but it is so awesome knowing we can lay all of our worries and anxieties on HIM and he will take them away for us. 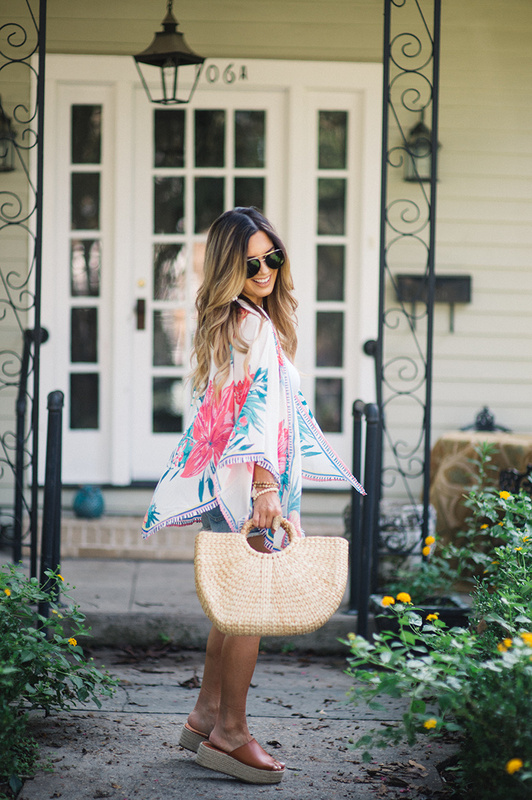 Your kimono is soo fab! 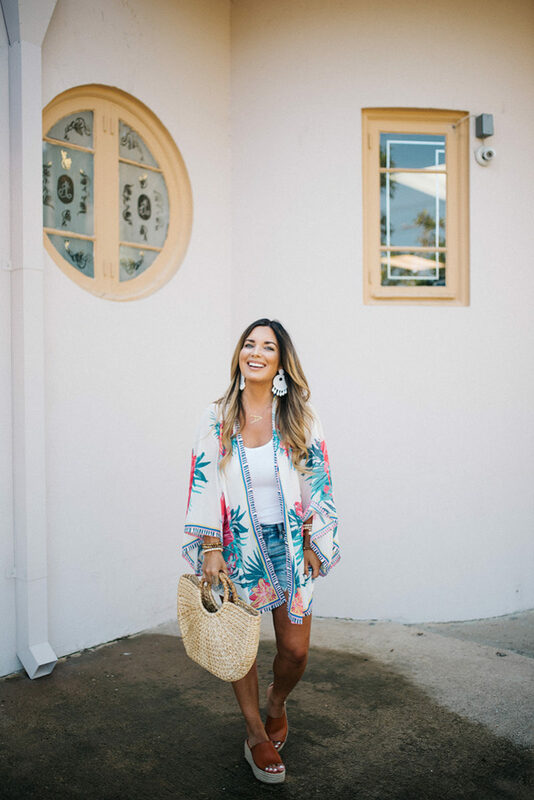 Love your entire summery outfit. I also loved your post about letting go. It’s pointless to waste your time worrying about things you can’t control! Love this post! It’s crazy to think about how much our fears and insecurities impact our lives for sure. Super cute outfit and pics.. you’re so gorg! I so needed this and love your outfit. I like how you combined this post with fashion and great advice! I love those comforting scriptures. Wow , you just explained me!!! Thank you so much for this, I just got back from hearing Lisa Bevere speak in Houston and it was great , I prayed for my family before I left, they do not know Jesus, By time I got home I felt overwhelmed with sadness , rejection, the lies of the enemy telling me your prayers didn’t matter etc ? ?I have always struggled with rejection all my life and from my marriage if 30 years..struggled with fear of knowing what my purpose is in Christ , Prayer is my thing, but the struggle with my calling and purpose is tough, it burns in my heart for soul and prayer and speaking truth to others and prayer for the nation, I have battled so so much with the rejection and insecurity, fear of failure..I have an amazing testimony of what God brought me out of , I’m a walking miracle , living proof he’s our deliverer!??? ?Thank you for sharing this and will quote these scriptures … I sure miss hearing you on Pink.insence ?God bless you and praying for you. So much truth in this post! Thanks for sharing and shedding some truth too! I also love those flatforms you’re wearing!! It’s kinda like you were in my head today. Anxiety has been such a problem for me lately. Really needed to read this post. Thanks! Such a babe!! 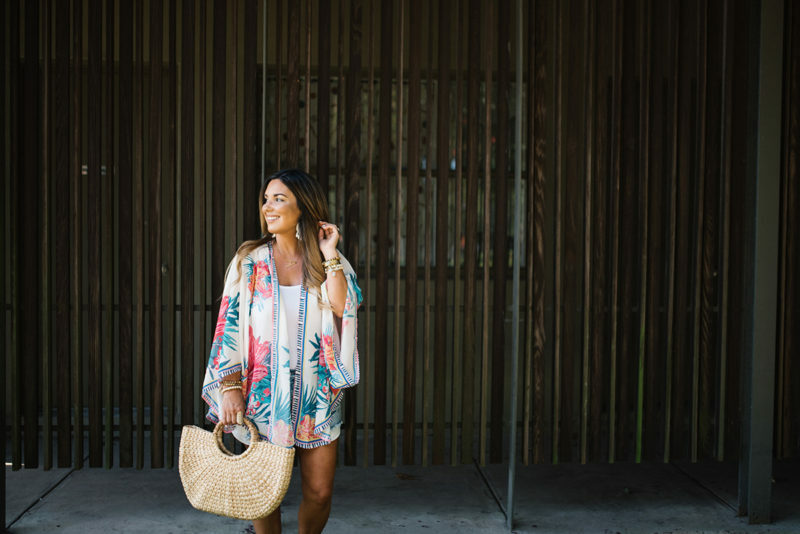 Totally obsessed with this entire look, especially your kimono! You are stunningly gorgeous inside and out! Encouraged and challenged by your journey and victory over fear…I just love your honesty and FAB example! Anxiety is no joke! Love how you’ve learned to overcome it. I LOVE this look! I really like wearing the loose fit covers that flow like this one! Love the whole look. Thanks for sharing! Love everything about this post. God is there to help us conquer all our fears. Thank you for that reminder. And you look adorable. Phil 4:6-8 is one of my favorite verses! God is so cool to take all our fear and worry! It’s crazy how we can let fear drive our lives! I love everything you said and I love your outfit!